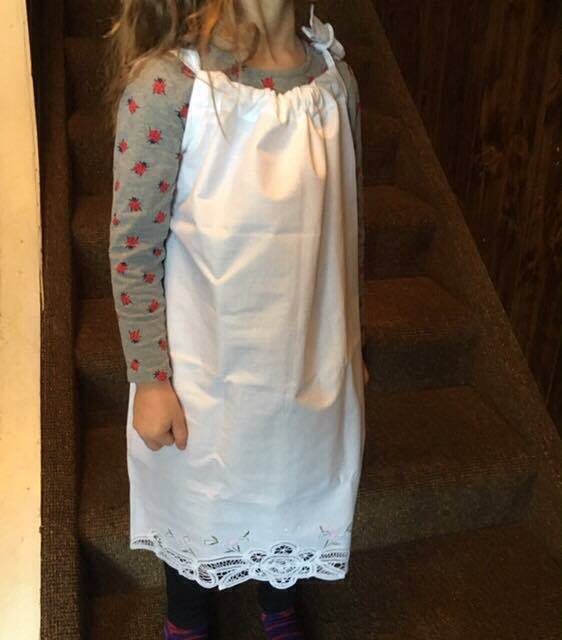 Contact The Lace & Linens Co.
Today I’m excited to share with you a Pillowcase Dress created for TheLaceAndLinensCo. This little dress would be PERFECT as an Easter dress, as it is economical and can be easily customized. 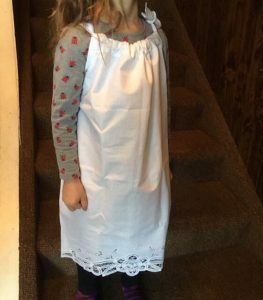 The dresses we made are sized 2-4-6. You can easily resize the dresses as you like. Keep in mind though, that each child is unique so it’s always best to double check the dimensions. 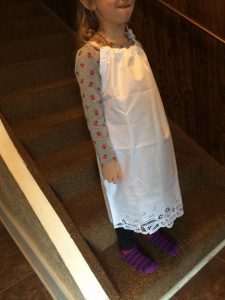 This Pillow Case Dress is 100% Pure and White premium quality Cotton fabric material. 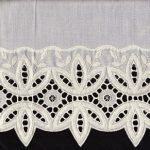 Battenburg Lace trim measures 20″ edge to edge along the full width of the dress. 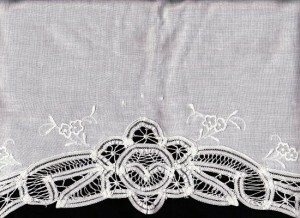 The main Battenburg Lace flower motif measures 4″ in height. 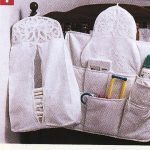 Battenburg Lace is hand crafted with lace brides and lace bars in addition to 10 lace spider webs. Intricate craftmanship! It is All in the Details, 4 sets of 2 Pansies are embroidered along the Battenburg Lace as interesting complement, A beautiful finishing touch! Close up view for details. 100% pure and white premium quality Cotton. 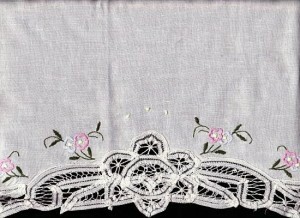 White Battenburg Lace trim and 8 embroidered pansies with leaf accents. Sizes: 2 / 4 / 6. 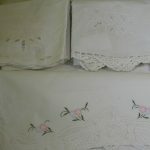 Choose White Pansies or Colour embroidery in baby pink-blue-green.